Organic traffic is awesome, right? You know SEO is amazing, you know you definitely need it on your blog, BUT so many times it just feels like a hustle trying to build up your traffic and reach. And don’t even get me started on list building. First off, let me introduce myself. 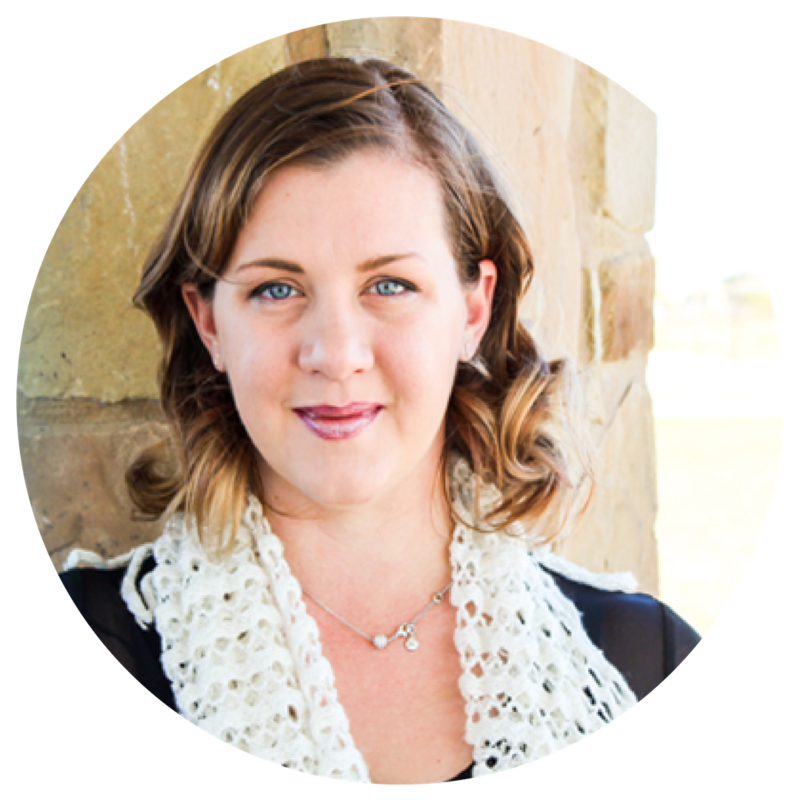 My name is Becky Burgess and I’m the owner of Splash Owl Media, a digital marketing agency that specializes in Facebook Ads. My degree is in Business Marketing and I’ve worked for different ad and marketing agencies for about 8 years until I found myself laid off during my maternity leave. Needless to say I was absolutely devastated. Here I was, a mom of a toddler and now a newborn with this unbelievably difficult choice of either staying home with them and losing my income, or going back to the corporate grind and only seeing them right before bed. I didn’t really like either one of those choices. Instead, I realized that I could use the skills I learned in the corporate world to create my own marketing agency. My mission at Splash Owl Media is dedicated to helping moms grow their businesses with digital marketing so they don’t have to sacrifice income or family. My goal here is to walk you through how as a blogger you can increase traffic and grow your email list by creating an ad campaign. And doing it without the crazy expensive budget. Before we get started however I need to say that growing your page traffic with ads is NOT as simple as boosting posts. I am honestly, completely against this practice. Why not boost a post? 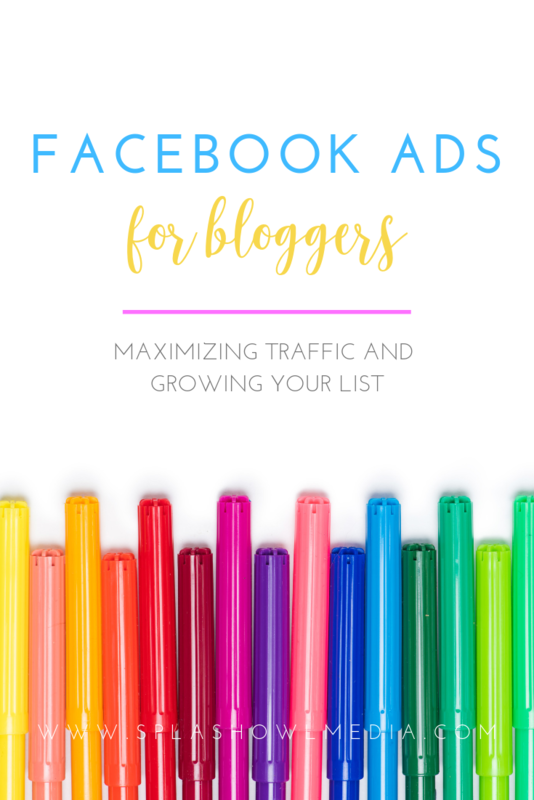 When you Boost, you are giving Facebook the authority to take that money and spend it as they like, meaning putting your ad in certain placements that don’t maximize conversions or traffic. So although the “For just $10 this post has the potential of reaching 100,000 people” sounds appealing, it’s not really true. In this video, I will walk you through my step-by-step process or you’re welcome to continue scrolling to see the steps and screenshots written out for you below. 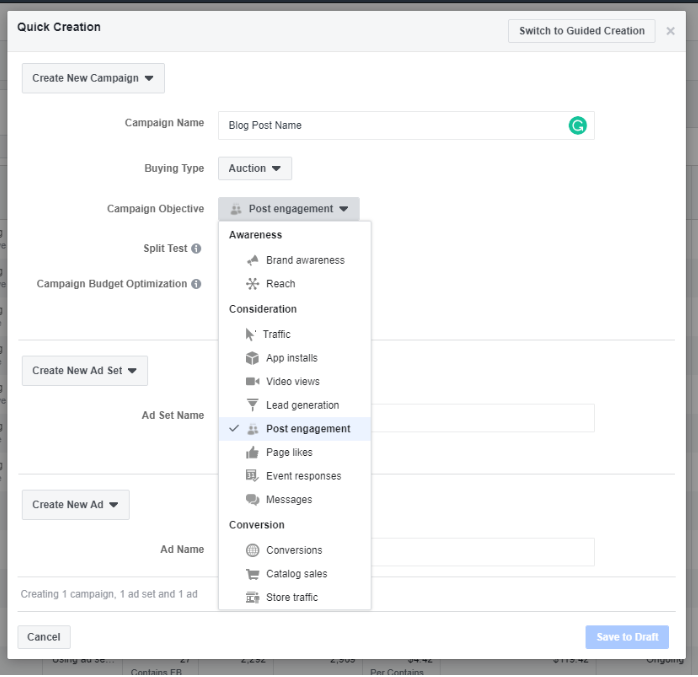 Go into your ads manager to create a campaign. 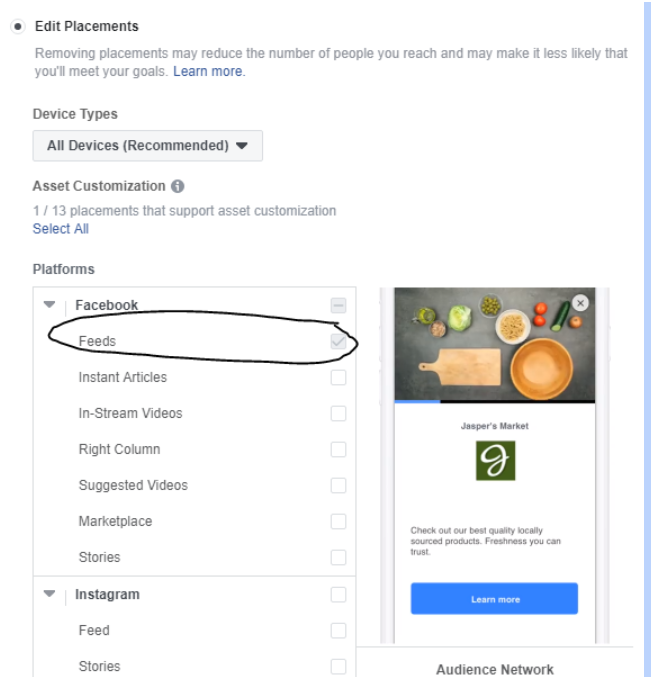 If you do not have ads manager yet or don’t know if you do, go to business.facebook.com OR click the drop down and hit Create Ads or Manage Ads. First, create a post on your Business Page that you would like to use as an ad. This post should speak to your brand, and provide value to your target audience. Most blogger link it to a specific blog post to increase traffic. Now that you have some good valuable content to share with your niche, go into the Ads Manager and Create a New Campaign. I have created a graphic below to help you visualize this process. The Campaign Name should be the name of the blog post or the title of the content that you are utilizing for your ad. The Campaign Objective should be changed to “Post Engagement.” Once you have done these two steps, click on the “Save to Draft” button in the bottom left hand corner of the box. The next step is to create your audience. This is done at the “Ad Set Level” which can be found when you go to the ad set level of the campaign. The audiences that are most likely to convert, have a reach between 100,000 and 1.4 million, which is where you will likely want to target your ad. 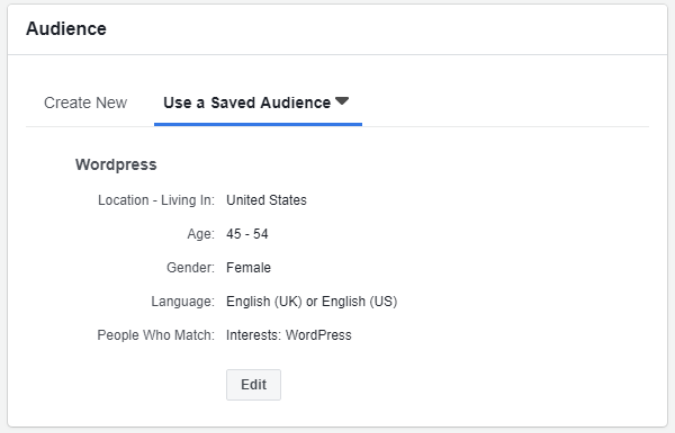 After you select the audience you want and determine your budget (you can do this for as little as $1 a day), you will then scroll down to placement, and be sure that the ad is going to the Facebook Feed ONLY. Make sure everything else is unchecked. Studies have shown that you are more likely to get higher rates of conversion, and more page traffic, if you use the Newsfeed rather than any other placement. Okay! Now everything is ready to pull in your post and click launch. In the Ads section, make sure your business page is highlighted. 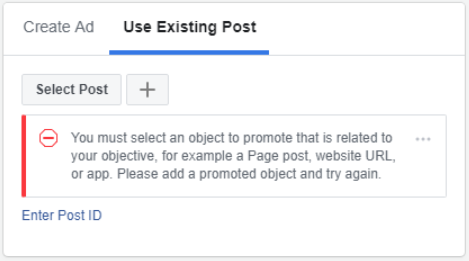 Then, go to “Use Existing Post” and select which post from your page that you want to use. You will then be directed to choose what kind of engagement your ad should request. You are welcome to utilize a call-to-action if you want, or you can just keep the button as “Learn More.” Choose whatever makes the most sense for the content that you are presenting to your audience. Now that everything is set up, your audience has been chosen, your post is primed, you know exactly where on Facebook this ad is going, you FINALLY get to click on that lovely little “Publish” button. BAM! You’re all set. You have created a Facebook Ad Campaign! Now that you have created your ad, let’s get into the nitty, gritty of conversions and how to utilize your ad to build your email list. The best converting offers are checklists, pdf guides, work flows, etc. People want quick, simple, done-for-you offers that save them time and energy. For example, one of my clients is a blogger and she is getting amazing results with her ads. Her conversion rate is between $0.45-0.57 per new email subscriber. 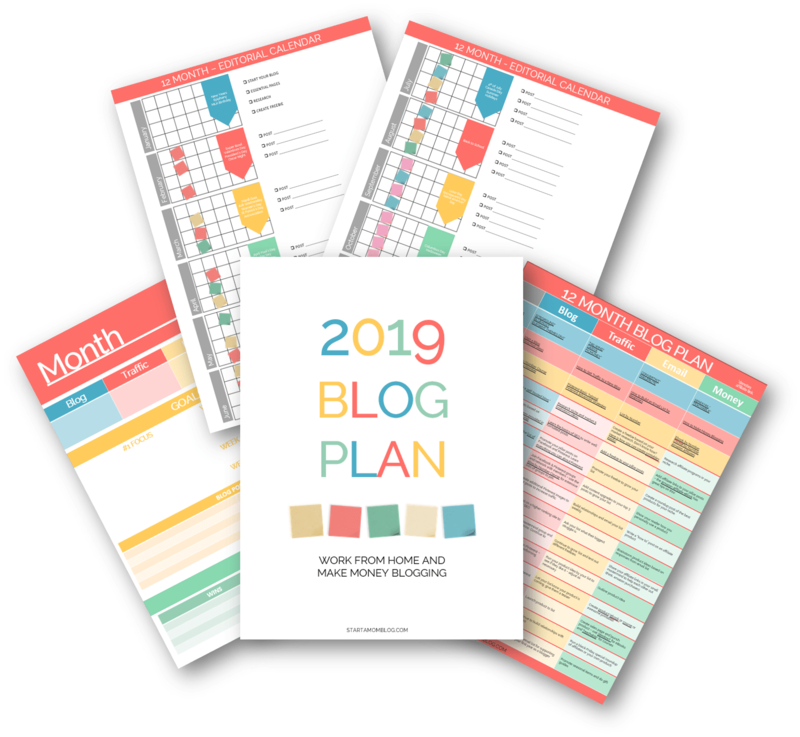 She is offering a done-for-you blog template that helps your blog posts rank higher in organic search engine rankings. She has grown her list to over 379 subscribers while spending less than $300 total in ad spend. This is INCLUDING the testing phase. What is a testing phase? We ran an ad for 24 hours, and narrowed her audience to WordPress users. This ad and audience combo converted the best for her at $0.47 per lead. Now that the campaign has run for a bit, we are consistently getting $0.57 per lead. And the overall campaign (including testing phase) is reporting at $0.76 per lead. MY AD WAS CONVERTING AT $0.28/LEAD! In my course, Master Facebook Ads this Weekend, I walk you through everything from creating an opt-in that will get you the best conversions, to testing and optimizing your campaign to start and continue seeing amazing results. I show you my exact step-by-step process on how I create successful campaigns over and over for my clients. Plus, as an added bonus for being a part of the “Start a Mom Blog” community, I have provided a coupon code for an extra $100 off the course. Get access now! On top of the course, the discount, and added bonuses, there is also a private Facebook Group for all of my course students to be able to access additional training and support. I am personally very active in this course, and am dedicated to making sure that my students are kept up to date on all of Facebook’s updates and changes. (Seriously, the platform is changing ALL the time.) I want to be sure my students are always ahead of the Facebook Marketing curve. So tell me, are you interested in learning more? 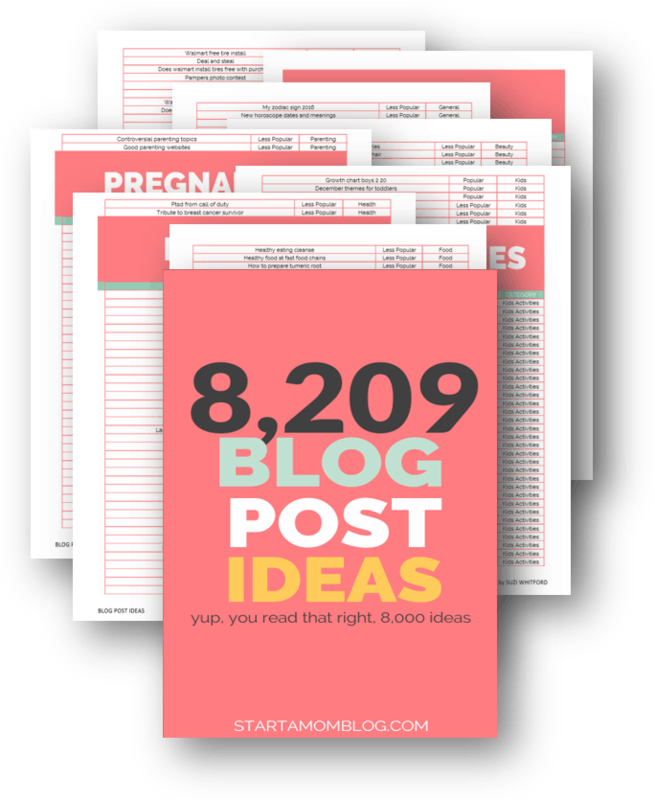 Click here to learn more about how this course can help you skyrocket your blog this year.